Here's a binge-watch list for your anti-Valentine's plans. A few of us like PDA and cheesy lines, but some of us love painful and tragic plot twists. It's just the way Korean drama fans are. 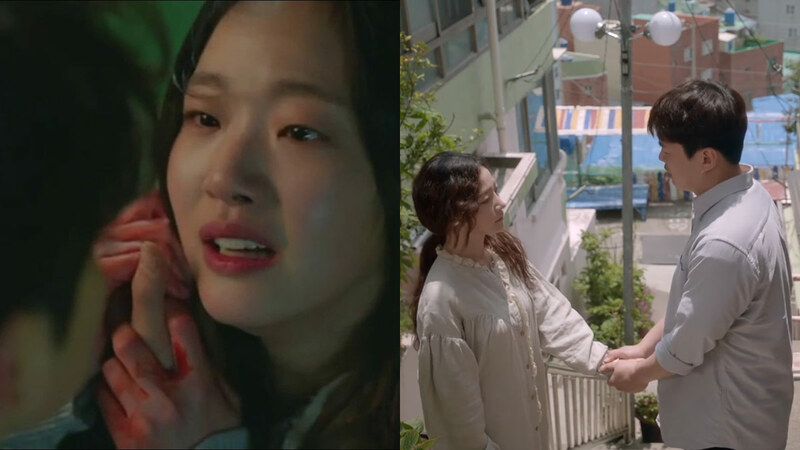 If you relate with the latter or if you simply want to spend Valentine's Day with all your ~*feels*~, here are some scenes from epic dramas that you can rewatch. It was hard not to feel some inner kirot while watching Fight For My Way (2017). There were scenes where the leads made you relive all those career failures and rejections you faced, and there were other storylines that were just plain devastating. One of them was when Sul Hee (Song Ha Yoon) was cheated on by her long-term boyfriend Joo Man (Ahn Jae Hong). After giving him too many chances, she mustered enough courage to walk away from that relationship. In While You Were Sleeping (2017), Jung Hae In's character, Han Woo Tak, was the sweet second lead you rooted for. You knew Nam Hong Joo (Bae Suzy) and Jung Jae Chan (Lee Jong Suk) were MFEO, but your heart went out to Woo Tak who silently loved and protected Hong Joo. In one scene, he took a photo of her shadow with his own, since it looked like his crush was resting her head on his shoulder. He was happy even if he was just going to be a someone she can lean on…as a friend. Awwww! The second leads in Descendants Of The Sun (2016) had quite a tragic story. Seo Dae Young (Jin Goo) and Yoon Myeong Ju (Kim Ji Won) loved each other against all odds. At one point, their duty ripped them apart from each other's company, and both Dae Young and Myeong Ju couldn't do anything but just accept their cruel fate. Damn. Mr. Sunshine (2018) was the melodrama you never thought you needed. It was interesting to see how Ko Ae Shin (Kim Tae Ri) and Eugene Cho (Lee Byung Hun) tried to figure out what love was. However, their situation was far from ideal, and at some point, they're left with no choice but to sacrifice and part ways. Kim Shin (Gong Yoo) had the blessing and curse of seeing someone's past and future in Goblin (2017). At one point, through the eyes of a stranger, he saw Eun Tak (played by Kim Go Eun) visiting their go-to restaurant in Canada without him. He started tearing up at the realization that he wouldn't be able to spend his life with this woman he loves, and he effectively tears our own hearts apart in the process. However, it wasn't as heartbreaking as when Kim Shin died and Eun Tak weeped so overwhelmingly. Why did this have to happen?! When it comes to plot twists that just crush you every time, the winner would have to be when Jung Hwan (Ryu Jun Yeol) spilled his heart out to Deok Sun (Hyeri). It was bad enough that Deok Sun looked like she was pitying him or feeling uncomfortable throughout his confession, but what's worse is that he had to pretend like it was all a joke just to save face! ANG. SAKIT. OKAY?! No shame in shedding tears for these dramas. Go ahead and share those feels!